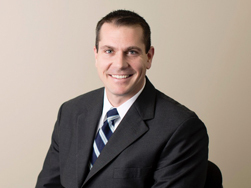 Joseph J. Kosinski is a Chartered Financial Consultant® and owner of the East End Financial Group. He graduated from Villanova University with a degree in Mechanical Engineering and a Minor in Finance. Prior to joining EEFG in 2005, Joe worked in California and Boston with Wachovia Securities and John Hancock funds, where he specialized in financial planning for high-net-worth individuals. Joe is happy to admit that his training as an engineer influences his approach to investment planning for his clients. "I like problem solving," he says. "Personal financial planning is just problem solving. Each individual client has their own set of challenges and goals, and it's my job to design a customized plan for them." As an owner of the firm, he appreciates that EEFG’s relatively modest size enables all staff members to participate in the decision-making process, and allows for the development of real, trusted connections with clients. "I like that we’re involved in our clients’ life events – the big ones. It’s our job to prepare you for these eventualities – we know they’re going to happen at some point, and it’s nice to be able to be there for our clients when they do. I love it when they say, ‘We couldn’t have done this without your help.’"
Joe is active in many community and philanthropic organizations including Villanova University’s Long Island Alumni Chapter. In addition, Joe enjoys golf, fishing, and spending time with wife Kirsten and his two boys Jonathan and Liam. Joe and his family live in East Moriches.